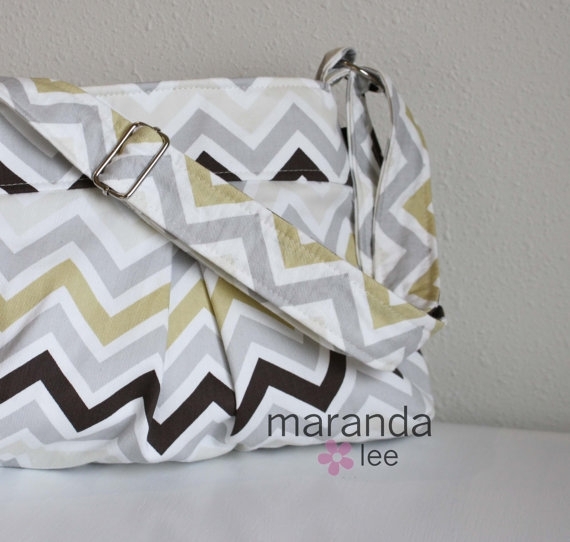 If you follow me on Pinterest, you may hove noticed a few months back that I pinned this bag from Etsy. 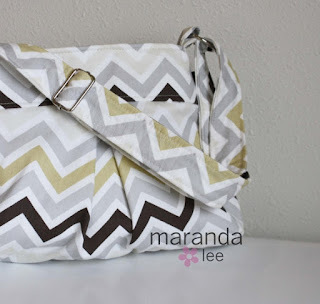 While the bag itself is great, the actual reason that I pinned this picture is that I love, love the chevron pattern and color scheme and thought it would be great to recreate on a canvas. I've been desperately trying to find solutions for all the empty wall space throughout our house. I'm not a fan of most art I see in places like Marshalls and don't have the wallet to purchase legit paintings. So my solution is to DIY my wall art. To get started, you need to divide your canvas by how thick you want your stripes to be. Since my canvas was 12x12 I opted to make 12 one inch squares across and vertically. I would suggest drawing your lines very lightly. I made the mistake of drawing mine a little too dark and needed to try and erase the lines once the painting was finished. Once your square are set, you can start drawing the chevron pattern. To do this, you simply draw a line, corner to corner, across the middle of your first square. Repeat this in the same direction for every square below going vertically. Draw a line in the opposite direction for both squares on either side. If my directions are a little confusing, use the below picture as a reference. After the chevron pattern has been drawn out, I cut several two inch strips of painters tape and put them along every other chevron line. I wanted the stripes between to remain white. This was the most tedious part for me. Again, I'm seeing this trend where I choose these tedious ways to create fun art. First the pom poms that took hours to cut circles and glue, then the subway sign where each letter needed to be individually cut out. Now, I'm cutting 2 inch pieces of tape one by one and sticking dozens on a canvas. I think sometimes I like doing monotonous, detailed work that doesn't entail a ton of thought. Luckily this time I have a fairly small canvas to work with and it really didn't take a lot of time to do. The tricky part for me was that my painter's tape didn't want to stay down. I'm not sure if I would have had better luck had I used Frog or masking tape, but at the time I only had blue and it was crucial that the tape be only 1" thick. To solve this problem, I used the same trick I did when making my subway sign and needed to reinforce the letters to the canvas. I flipped the canvas over and used heavy cookbooks to weigh down the canvas against the painter's tape. You can see in the above pictures that I also put a strip of tape on the back of the canvas to hold down all the ends of the tape that wrapped around from the front. Once the books were set I let them weigh down the canvas over night. If you don't want to wait until the next day, I would suggest at least waiting a few hours to make sure the tape is pressed firmly onto the canvas. Once the tape is set, the fun can begin when you start to paint. I chose the same color pattern as the bag I found on Etsy, but obviously you can use any selection and order of colors you like. I lucked out that I had almost all of the exact (or at least pretty darn close to) colors that were used in the inspiration photo. The only color that didn't match was the light tan, which I recreated with a taupey-grey paint I already owned mixed with a little bit of white. When painting between the stripes you want to be careful to avoid the paint bleeding under the tape. I chose to use more of a dabbing/blotting method to apply the paint, or at least the first coat. It took about three total coats to get the deep color I wanted. Once the paint dries, you simply peel the tape and your canvas is good to go. This blog wouldn't be 100% true if I didn't let you all know that once the tape was peeled my canvas wasn't perfect. There were a few spots where the paint bled through the tape (looking back, masking tape would have been a better option to use) and there were also still pencil marks since I made the mistake of drawing my lines a bit too dark. I simply used some white paint and filled in the spots between the chevron stripes. I'm actually glad that I did this anyway because it helped make the white stripes between each color bolder and brighter than the white of the bare canvas. For now, the canvas is resting on the ledge that is on the wall above our bed. I may end up relocating it. I love how the colors of the stripes match the black ledge and vintage gold mirror already above the bed. Of course you don't have to just do this on canvas. You can use this chevron pattern on anything you want to paint: a wall or rug, or embellish something small like a mug or plain white dishes (decorative, of course). Have any great DIY plans this weekend? this came out really really great! love it! This looks great Jess! I color pattern. I did the same thing a while back for my gray and yellow bedroom. I had the same issue with the pencil lines. I was originally just going to go with yellow and white, but the white sections had pencil all over them and it wouldn't erase, so I had to re-tape over the yellow and paint the white and pencil gray. I did use masking tape though. I didn't have any issues with it sticking, but there was still some bleed through. I had wondered if painters tape would be better, but I guess its not much. My dad uses masking tape on all of his canvases and he gets crisp lines, so I guess it's possible. He told me to keep the painting perpendicular to the tape. I mean I LOVE the color pattern. Way to miss words. I guess you just have to be super careful when painting. I did a blotting method, but still has some bleed through. I want to do another grey and white one in a larger scale. Maybe I'll try the masking tape! When you filled in with white inbetween the colored sections, did you tape? If not how did you get it so perfect? If so how did the white not bleed? When using painter's tape, I've started doing something that has prevented a lot of bleeding. I put down my tape and then do a coat of whatever my background color is over the tape edges (so if I painted my background white, I paint white over the tape edges before I do my stripe color). On wood, this is just about fool proof. I just did my first chevron on a canvas and there was still some bleeding but I would imagine not as much. Hope this helps! Funny enough, I did that when painting stripes on the walls in my daughter's nursery. I never thought to do it on this project. Great idea. I'd like to do this and then paint or mod podge my favorite state on top. I tried this just painting inside the lines and it really wasn't as effective! Even though the lines were straight they didn't have the lovely straight edges you get when taping. I ended up repainting the whole thing with tape and it was much quicker after getting all the tape lined up. How in the world did you cut the tape in perfect two inch strips? Having the hardest time with that part! Honesty i started measuring and eventually eyeballed it. Wow, this looks great! I have been wanting to paint a Chevron pattern on canvas and will give this a try. I do have one suggestion on how to eliminate (or nearly eliminate) the pencil marks showing through. I paint quite a bit on canvas and draw my pattern using colored pencils in the same color that I plan to paint. So if I'm planning to paint pink and green dots, I draw them on my canvas first using pink and green pencils. One thing that might be worth trying is to paint the canvas a base color, such as white, before drawing out and taping. Then after taping, seal the tape lines with more of the base color. This might reduce the number of places that bleeding occurs. That sure look neat up there. Love the zigzag design too. Really nice to look at. All that work really paid off, that is so beautiful, I love the way you arranged the colors. It was really a great idea, surely many person follow your instruction for making such kind of beautiful chevron painted canvas by own hands, i was looking for a DIY canvas making idea and come across this post, i enjoyed it, thanks for sharing. Thanks for share your affordable photo canvas print idea. Before visiting your blog I was thinking that I will never make a photo canvas but after reading your blog I feel that I can also make my own photo canvas. 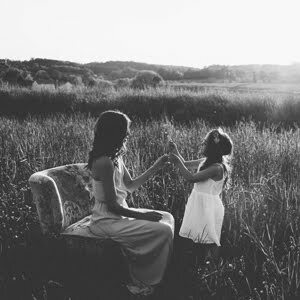 I read your blog such a helpful to me…… Thank you for posting.